Tarzan is a good fighter in the jungle and he may even have the edge in experience against Sora. Still, Sora has quite a large arsenal of spells and skills to use against this guy. Sora can harness the powers of fire, thunder, gravity, and more. He has the massive speed advantage in this fight as well as the edge in power. I can’t really think of any way for Tarzan to hope to gain the advantage here. Sora wins. 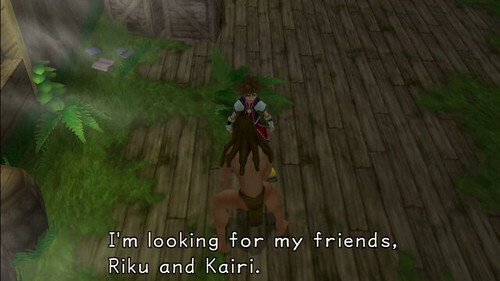 This entry was posted in Battles, Sora Battles, Tarzan Battles and tagged Sora, Tarzan by dreager1. Bookmark the permalink.